However, Robredo declined to comment on Duterte’s remarks that were interpreted by media organizations as a justification for killing corrupt journalists. Duterte had been under fire from the media for his comments about murdered journalists. “I don’t want him to misinterpret my reactions. I continue to extend my hand in friendship. That’s what the country needs so we can collaborate. 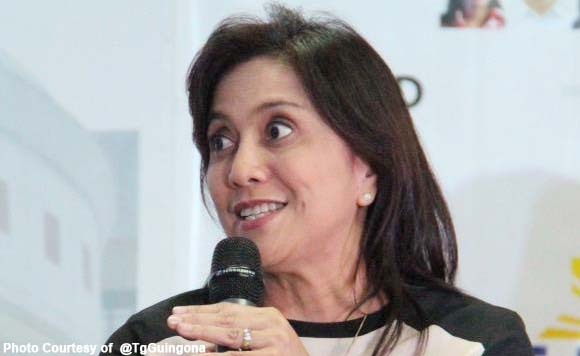 Our differences in opinions won’t affect my offer of support to him,” Robredo said. On the other hand, since Thursday (02 June 2016), there's no cabinet post offered to Robredo yet. “He said nothing, but I was not aspiring for any post. I think he has made it clear naman that he does not intend to make any offer, which is just fine,” Robredo said. “I am ready to face anything,” Robre said, before leaving the get-together event organized by her supporters. “[Robredo] is the light on the road. Please help her to be strong…Inspire us as we continue our fight for justice and democracy. Keep her safe and her children,” Sarmiento added.